Black Mirror: Bandersnatch takes the context of this fascinating period of British tech history and adds a whole lot of creepiness to it. And, considering the fact that this is a Black Mirror episode – a series about the potentially perverse effects of modern technology on humanity – things get very meta, very quickly. In fact, several levels of meta end up leaving most viewers’ minds looking like this. Soon enough, Stefan finds himself obsessing over the same symbols as Davies. And the White Bear is one of them. While working on his video game, Stefan realizes that the White Bear symbol is all over his notes. In Black Mirror, the White Bear symbol has several layers of meaning. As illustrated above, it represents the branching narratives in the video game Stefan is developing. On a wider scale, it represents free will – the ability to make decisions – and, in Stefan’s case – the lack thereof. For this reason, the symbol ends up representing a higher force that is in control of Stefan’s mind. Even Stefan’s house (and MK programming site) bears the glyph (white lines added for emphasis). The White Bear symbol appeared in previous episodes of Black Mirror and, every time, it refers to a “force” controlling people. Indeed, the symbol has been used to refer to government conspiracy, high-tech monitoring, mind control, and dark spiritual forces. Does this symbol represent the occult elite? As Stefan loses his mind, he starts seeing a lion-like demon named Pax. While watching a documentary about the life of Jerome F. Davies (the author of the book Bandersnatch), Stefan learns about Pax. “Davies became convinced he had no control over his own fate because his wife was spiking him with psychoactive drugs at the behest of a demon called Pax, a sort of lion figure he claimed he’s seen in a vision”. 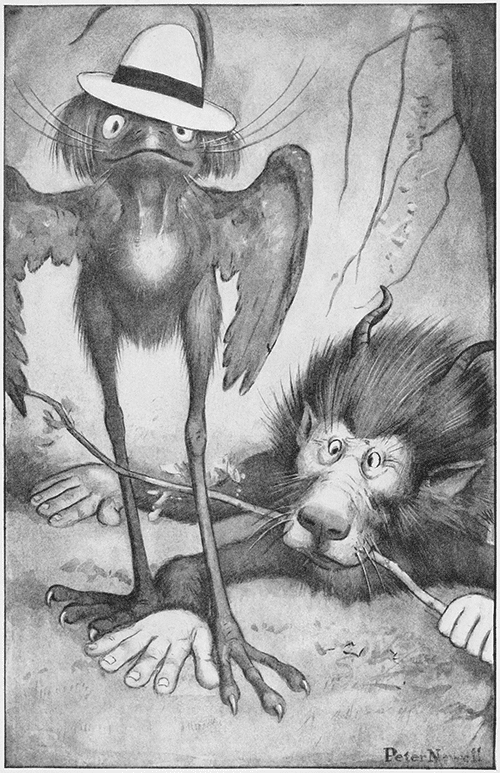 As seen above, in Lewis Caroll’s Alice in Wonderland books, Bandersnatch is a horned lion. If one goes through the many story branches of Black Mirror: Bandersnatch, lions start appearing in several significant places. Pax is a character in Stefan’s video game. In one story branch, Colin – a “superstar” video game programmer at Tuckersoft – gives Stefan LSD to help him get out of his creative rut. The LSD blotter given by Colin has a lion on it. It will ultimately lead Stefan to actually encounter Pax. Important fact: LSD is heavily used in MK-ULTRA. At the height of their acid trip, Colin explains the dark implications of the game Pac-Man. “There are messages in every game. Like Pac-Man, do you know what PAC stands for? P-A-C. Program and Control. He’s program and control. The whole thing is a metaphor. He thinks he’s got free will but really, he’s trapped in a maze, in a system. All he can do is consume, he’s pursued by demons that are probably just in his own head. Even if he does escape by slipping out on one side of the maze, what happens? He comes right back on the other side”. 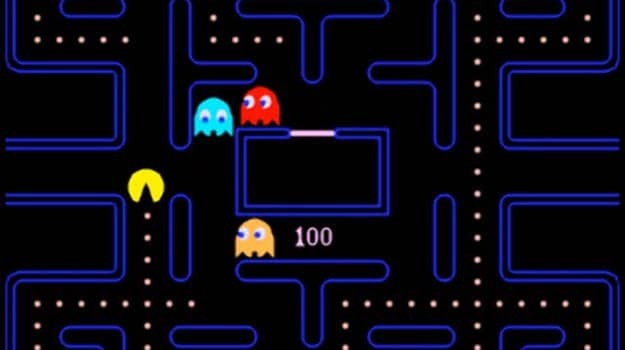 A screenshot of 1982 game Pac-Man. Colin describes it as a metaphor for Stefan’s life as an MK slave. Not unlike Pac-Man, Stefan has to constantly consume pills to keep going. And, as his madness grows, he is also followed by demons. Actual demons. While tripping, Colin convinces Stefan that, because there are several alternate realities, he could jump out the balcony and it wouldn’t matter. The viewer is then given the choice to have Stefan or Colin jump. If Colin is selected, he jumps out and kills himself. Earlier, Colin was showcasing his latest video game. The setting: A guy jumping off of a balcony. The video games in Bandersnatch foretell events to come. After Colin’s death, Stefan leaves the apartment in a panic. However, he is stopped short by something quite scary. Stefan encounters a physical manifestation of Pax. This thing will reappear on several other occasions, especially when things do not go well for Stefan. In Monarch mind control, slaves are actually assigned demons to enforce programming. As stated above, programming involves a system established by “horrendous trauma”. If the viewers select the right options, the backstory of Stefan is revealed: He’s a product of trauma-based mind control. When Stefan manages to go inside the mysterious locked room of his father, he discovers the dark truth about his life. The viewers also discover the meaning behind the symbols Stefan was obsessing about. Stefan discovers documents about P.A.C.S. – Program and Control Study. So Colin was right. Also, notice the heraldic lion on the document – another reference to Pax. Stefan finds a file about him bearing the White Bear symbol. Inside the file, Stefan realizes that he has been drugged, controlled, and monitored since birth. Stefan also finds a tape entitled “Trauma Inception” which documents the trauma he was forced to live through as part of his programming. At this point, Bandersnatch ventures deep in the world of trauma-based mind control – also known as Monarch programming. The goal of this practice is to cause slaves to dissociate from reality as a coping mechanism to extreme trauma. Once dissociated, slaves become extremely suggestible and easy to reprogram. Stefan’s therapist (who ends up being part of the mind control system) tells him that he is starting to dissociate. Towards the beginning of the film, Stefan’s therapist insists that he discusses the death of his mother at a young age – a traumatic event that deeply affected the rest of his life. 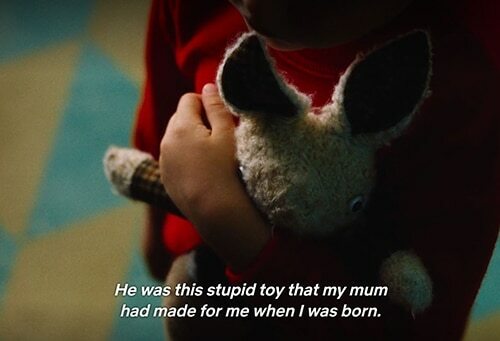 Stefan claims that his mother died because of Rabbit – his favorite toy. Stefan’s mother died in a train wreck. She missed the train she usually takes because Stefan could not find Rabbit and would not leave the house without him, causing her to take the next train that would end up crashing. So the “trauma inception” was caused by a white rabbit. In Alice in Wonderland, Alice is lured to the looking glass by a white rabbit. Stefan goes “through the looking glass” to relive the past and recover Rabbit. The theme of the White Rabbit leading towards dissociation is at the core of mind control symbolism and is constantly found in MK-themed mass media programs. When Stefan watches the “Trauma Inception” tape, he discovers the truth about his mother’s death. Stefan’s father laces his food with drugs. In actual MK programming, drugs are used to increase suggestibility and to amplify trauma. His father forcibly removes Rabbit from Stefan. Tearing apart children from their beloved toys and pets is another trauma-inducing technique. Stefan is blindfolded and taken to his “room” which is actually a studio. His mother (an actress) is about to enter the room and announce that they need to leave to take the train. 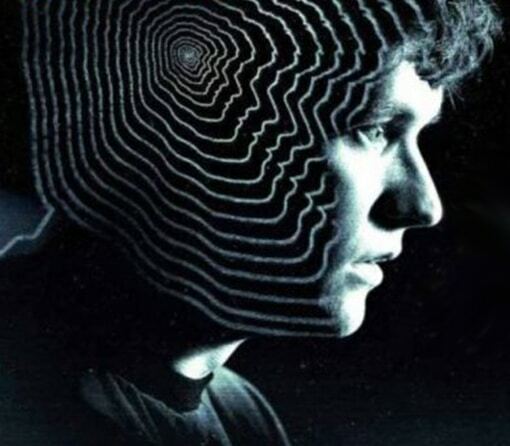 With Stefan’s backstory, Bandersnatch covers some of the core principles of trauma-based mind control. The omnipresence of Pax and the White Bear indicate the pervasiveness of the programming that controls all aspects of his life. This leads us to wonder: If Stefan is an MK slave and that he’s not in control of his fate, what does that makes us, the viewer? Answer: The handler. Indeed, as the story progresses, Stefan becomes aware of the fact that he is controlled by the choices made by the viewer and he attempts to resist them. But that doesn’t work. At a critical moment in the film, the viewer is presented with two options: To kill Stefan’s father or to back off. Earlier in the film, Stefan’s video game presented the same exact two options: “Back Off” or “Kill Agent”. Also, the figure looks suspiciously like Stefan’s father. Once again, a video game foretells events to come. Depending on the choices the viewer makes, one can end up viewing wildly different endings. In one ending, Stefan goes back in time, embarks with his mother on the train and dies with her. In another one, Stefan discovers that he’s in a Netflix series and things get weird and even more meta. However, in most endings, Stefan ends up either creating a badly rated game and/or in jail. Is there a happy ending somewhere in there? Not really. It is all very depressing. However, there is a path that allows Stefan to complete his video game and to get a 5/5 rating. The path: Stefan has to kill his father and chop up his body. After completing this gruesome task, Stefan appears to be at peace with himself and manages to create the perfect game. However, shortly after that, he gets arrested and his game gets taken off the shelves. Stefan displays his father’s head in his room along with the White Bear symbol drawn in blood. The curse of Jerome F. Davies continues on. Did Stefan get rid of his MK programmer? Or did he lose his mind and kill his own father? It’s your choice. Or is it? As highlighted in previous articles on this site, mass media has taken a specific direction in the past few years. Indeed, nowadays, most entertainment seems to be dark, sinister, depressing, and laden with fear and paranoia. Also, entertainment is increasingly replete with imagery and storylines relating to Monarch mind control -as if there was an attempt to normalize it. Netflix, the streaming service that is now at the forefront of popular culture, has been hard at work producing content that fits this agenda. In the past months, I’ve explored the MK symbolism of the Netflix series Stranger Things and the occult messages in Chilling Adventures of Sabrina. 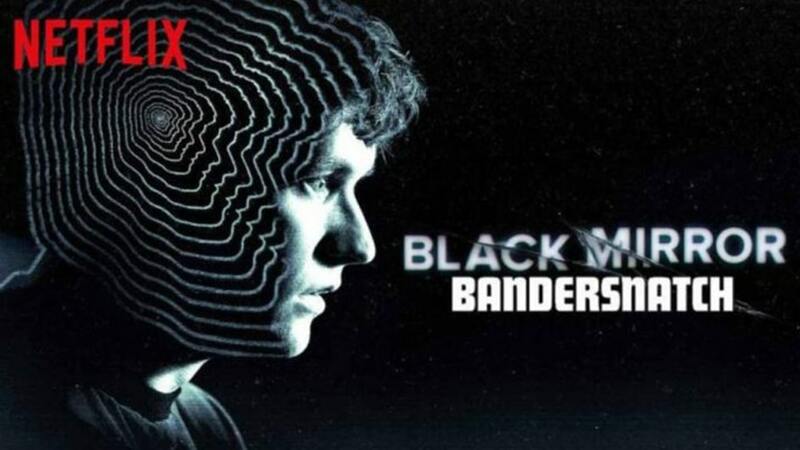 Black Mirror: Bandersnatch is yet another entry in this growing library of agenda-friendly content on Netflix. However, contrarily to other series available out there, Bandersnatch ventures in the uncharted territory of interactive entertainment. Instead of simply viewing MK-related “entertainment”, the viewers actively take part in it. In fact, the viewers end up playing the role of the MK handler. And, like actual MK handlers, the viewers can order Stefan to kill himself or to kill others. One could argue that giving viewers this little power-trip over an MK slave makes the entire world of mind control seem less horrifying and even “entertaining”. However, since we’re dealing with Black Mirror, we need to take another step back and see the meta going on here. As the viewers bask in the god-like feeling of deciding Stefan’s fate, they are also being carefully guided by the narrative. Furthermore, all the while, the viewers are monitored and analyzed by Netflix. 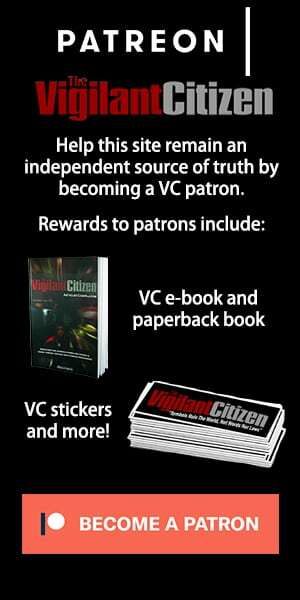 Indeed, there are already several articles out explaining the data-mining of decisions made by viewers. An article headline about Netflix data collection. In short, the true subject of the “Program and Control Study” is not Stefan … it’s you. Another good reason to get rid of Netflix if you haven’t already. Apostle Peter did probably use nets back in the day though. Eurora really dear/ Nets for fishing? Please try harder. It’s a blurring of moralistic lines that also causes confusion in both the conscious and subconscious brain. When you watch so-called comedies, or some play, there is death or cruelty in the storyline / arch. I wondered as a child why on earth people want to be entertained by it, or use it in a sitcom. No, not always it is an agenda to enlighten viewers. Edward has a clue. And it has to do with putting the audience in more than one state at once. Leave that extraction-part as it has nothing to do with that mumbojumbo, please. Just that viewer’s brain itself does the work. It changes thoughts and behaviour longterm. Most forget they have a brain themselves, but it’s in their head for real. Learn how it works. Normalisation is one reason, but here we have proof that digital television is used as data-collection and mind-bender. For real. Super creepy. I saw exactly one episode of Black Mirror (I couldn’t even finish it) turned it off and never watched it again. It gave me a very uneasy, oppressive feeling. Wow, really? It’s like the complete opposite y’all. That uncomfortable feeling is the point. It’s like little warnings for how we shouldn’t behave. Black mirror is basically a collection of modern fables showing us what not to do. Not a step by step examples how things are. Y’all people give me an uneasy oppressive feeling…with your lack of ability to recognize the subtext and instead just yell N--i. Like whoever you are, Somebody wake up and realize the satanic invasion started with the inception of the Christ figure. No Christ=no Satan. So whoever decided to force all that on us might be a better place to find where oppression is coming from. Duality, right. There is no good or bad side. It is one side, playing many games. exactly what the so called awakened are preaching now. There is Good and Evil, they just want you to forget that. But if you want to fall in their trap, then you are welcome to do so, just remember you were warned. Learn to see beyond Good and Evil and you’ll see the glory of Christ EVERYWHERE. The awake, know that God is in EVERYTHING. I felt the same way when I gave the series a try. This is what the globalists have planned for us. They use propaganda like “Black Mirror” to normalize it. Do they ? Or is this the mainstream media trying to do what you have all asked for on this site for years now and open the minds of the “herd” ? Not sure you can have it both ways – either you want this sort of thing to be made mainstream so a light can be shone upon it and it can be stopped or you are happy for it to remain lurking in the background just below the perception most people. So, if Black Mirror makes people uncomfortable that is great ! Isn’t that the first step to realizing this is wrong and something needs to be done ? I agree with you, Iman. My friend forced me to watch two episodes of Black Mirror, at the end of the second one I was “no, this is it, never watching this disturbing show again” and so it was. “It is all very depressing”. This is all you need to know. Popular culture is weaponised against us. Turn that s--t off and get a life. 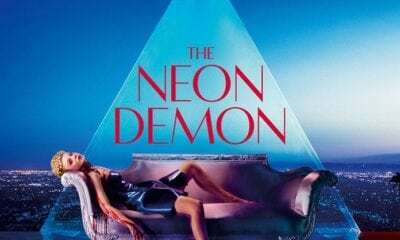 I watched and interacted with this film when it came out and remember telling my wife that it was about mind kontrol. I basically made all the ‘wrong’ decisions and had to loop back to make the ‘correct’ ones like killing the father/handler, making Colin jump and not Stefan. I had an uneasy feeling being made to ‘kill’ anyone, even blatantly evil spirited people like the handler. It will be interesting to see how Black Mirror goes forward now that Netflix owns and produces it. The reason I say this is that I feel it has been more of a commentary/satire of our tech addicted society and a warning that we need to tread very carefully going forward. I feel, possibly incorrectly, that BM (first 2-3 seasons at least) has been more a net positive in terms of making people question their tech addiction than a negative. But we will see where it goes with Netflix calling the shots. It made people realize how evil tech addiction/media can be… but still they kept being addicted. They deliberately choose to keep indulging in the dark side of media. It has been said before: it all has to do with the concept of Free Will. What you decide to agree to. I agree, the first three seasons were incredible. 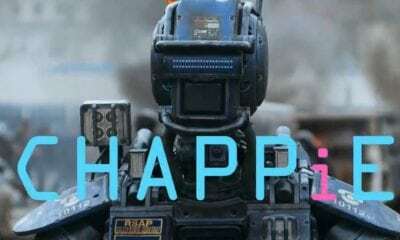 The second episode is one of the best dystopian satires I’ve ever seen. This channel might be called satanflix, it is no netflix. It is turning the Young people, young customers into devils which see a human being as a toy to torture and humiliate. Why in the usa there is no movement or protest against that damned satanism growing up? And What about the Law that prohibits the propaganda of perversions violence and satanic ? It is called hays code, otherwise production code which is undersigned by the MPAA motion picture producers association of america in 1930, which prohibits propaganda of evil, manipulation of viewers, blasfemous content, violence, perversion, drugs, satanism, criminal behaviour, offending the patriotic symbols and sense of identity. 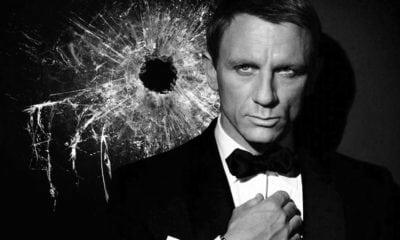 So what about that hays code? Is it abolished? If Yes, when why and by who? Why the people in the usa per their own children be ripped and destroyed by that satanic hollywood and education system? This is the most horrible crime on earth, i Think. You cant sacrifice ur children on the altar of moloch, the deyil. This reminds me of West World TV series, were people thought they had free will when actually every decision they were taking was to study their behavior. Who the hell is making all these things? Is there a way to find out the process behind ” agenda-themed ” art in the form of photo-shoots, music videos, movies, t.v. series, video games, company branding etc? Do the people working in these industries receive mysterious orders from unknown sources on what to make and then have to comply? Or do representatives of the ” occult elite ” actively engage the creation process from within the relevant setting; do they for instance, show up to photo-shoot and go “Okay, now put your hand on one eye or else…”. It’d be interesting if an investigation were carried out along those lines. All you need to do is put on a sheepskin and say “Ï am a sheep”. That’s all for most folk to believe you, as argueing or investigating has become Complot-theorist Nonsense in most part of our civilized world? Oh, and for some you only have to declare you are Religious to have them sent thousands of [put here your country’s money-currency]. as has been stated by many observers, you just need a few people in key positions to take control of a whole system. most people will willingly go along with the flow. Change agents. Or as some very youthfull next generation is called Influencers. Do not only check their newest jeans or make-up, please. Mind their language too. Intonations. Like symbols. The entire process is controlled by the same sick cabal. From the CEO running the entertainment company, the director making the show, the cameraman filming it, the people on the screen…you don’t get the job unless you are in the cabal. Think what happened to S. Cubrik? Eyes Wide Shut..you squeal you die. His few movies circled around dubious persons, industries and systems, subtly showing truth by fiction. And then he came too close to the centre and made it public.. Shame we never got to see his view on somone as Napoleon. “And it is just a job – where a lot of the people working it are affraid to loose their share of the bonus, because they have to survive on it. Like real people. And it is just a job – where a lot of vain people go look for, searching for validation of society, because they are hurt people with hidden issues. Like real people. There is nothing confusing about the 10 Commandments. That is all I need to know when reading dark articles such as this one. Netflix clearly has an agenda to blur the lines between good and evil on behalf of Satan himself. Goodbye Netflix….Jesus is King. I’m curious – is there any movie or series, which shows motive, how you can break free from handlers and MK programming? That would be very interesting, but very unlikely for elite. There are books themed around this, one of the main characters of “The Historical Illuminatus Chronicles” trilogy by R.A. Wilson is a guy who works on breaking himself free from occult societies programming. It’s set in 18th century though. Russ Dizdar works daily on people controled this way his site Shatter the Darkness his book “Black Awakening” must read! BTW he is a Christian. Do an expose on Blindspot !! I just finished watching the latest season last night . I’ve been hooked on this program since it was released.Jane who experienced trauma as a child finally managed to break free from her mother (MK HANDLER) by killing her. 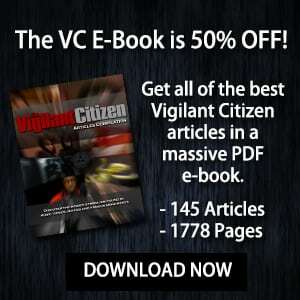 Everything vigilant said about trauma, Alice , a white rabbit soft toy etc is all there blatant. I definitely recommend it worth a watch . VC, you should do an article on singer Billie Eilish. I watched one of her videos because they kept popping up on my recommended list on YouTube. She’s blatantly demonic/demon possessed but most of her fans are young and very ignorant of it. She has quite a following to be an upcoming artist. Your ‘recommanded list’ is nothing but pushed promotion, advertising, fodder, or in one word distraction. You can try to ignore it. Or even block it out sometimes. Makes internetting so much easier on the eyes and mind. Be your own director. The name Billie Eilish itself looks wrong. I couldn’t help but notice the “11” and twinning “illi” in the name. And it’s almost repeated in the last name? 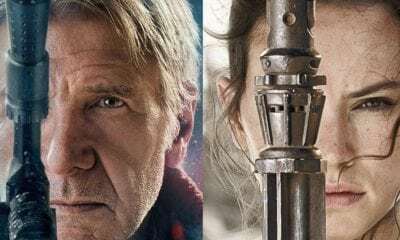 They are making these MK- ULTRA series and movies to brain wash society as a whole. They are making drugs look cool to influence people to take it. If you’re drugged and you watch this stuff you will become heavily paranoid and question your reality (even if your not drugged). Therefore, you become the slave, this “Entertainment” becomes a torture technique used for you to dissociate, and your handler is the Elite that openly produces these series and movies. That’s why all the mind control symbols are so blatant now, more than ever! Ultimatly we are in control of what we feed our mind. Watching these types of movies for ‘please/entertainment” is feeding your mind garbage. What goes in ultimatly produces who you are.